Don’t believe these lies! 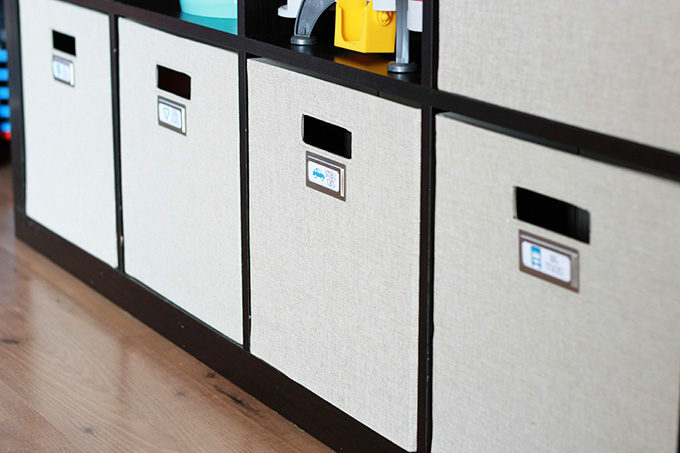 Here are 5 organizing myths you should stop believing right now. 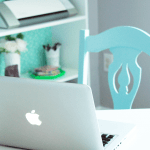 Blogging about organizing can be a tricky thing. On one hand, I love the challenge of taking a messy, cluttered space and making it look functional and beautiful. Because on the blog I typically like to go the extra mile with my organizing projects, it’s fun to come up with creative ways to use storage pieces, incorporate fun colors, and add (or subtract) elements that make the viewer go “Wow!” when a photo pops up on their screen. At the same time, though, I always want to make sure that I’m not giving the wrong impression about organization. 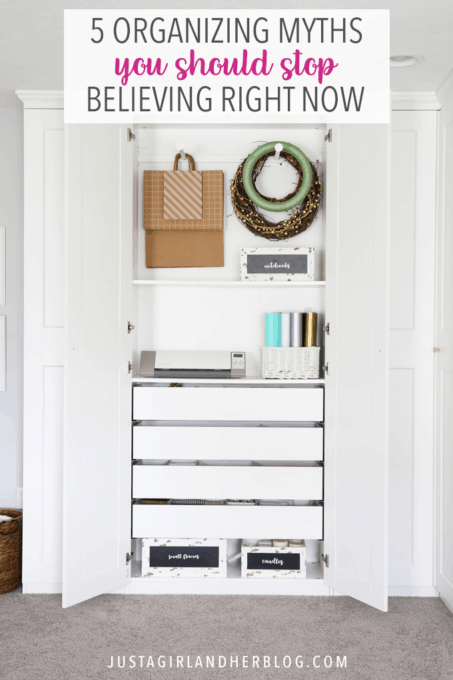 It’s easy to look through magazines or scroll through Instagram and feel like the only way to be organized is to drop thousands of dollars at The Container Store to line your house with the absolute perfect shelving and bins for every situation… and that’s just not true. 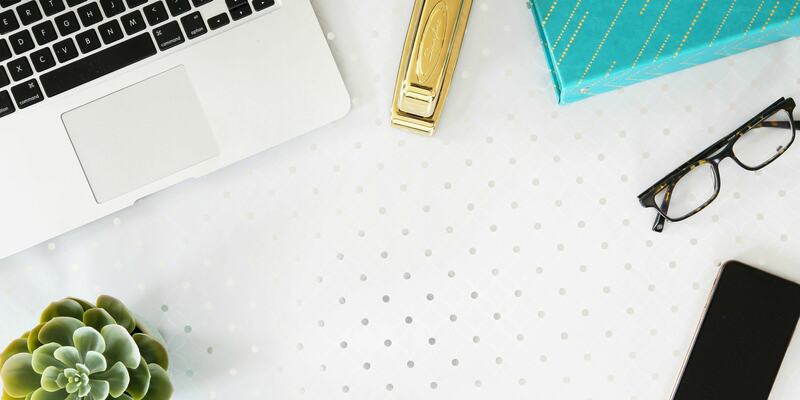 So today I wanted to lay out some organizing myths that I’ve recognized as I’ve worked on organizing my own home, talked to others about organization, and learned more about the organizing process. Myth #1: I need pretty (and expensive) bins to be organized. I love a beautiful bin as much as the next person (Maybe even more than the next person? 😂), but we definitely don’t need to go out and buy all sorts of expensive bins or storage equipment in order to organize a space. This is what the corner of my office looked like for the first year and a half that we lived in our house. Is it Pinterest-worthy? Nope. But I had a system, it was organized, and I could always find what I needed when I needed it. And I used only items I already owned to organize it, spending $0. Sometimes I can’t just go out and buy all of the “ideal” pieces I’d like to have, but that doesn’t mean that I can’t find a way to create a system of organization that works in my space. Myth #2: Buying pretty (and expensive) bins automatically makes me organized. I have also been in the opposite situation, where I tried to fix a problem quickly by buying a bunch of organizers and throwing my stuff in them. 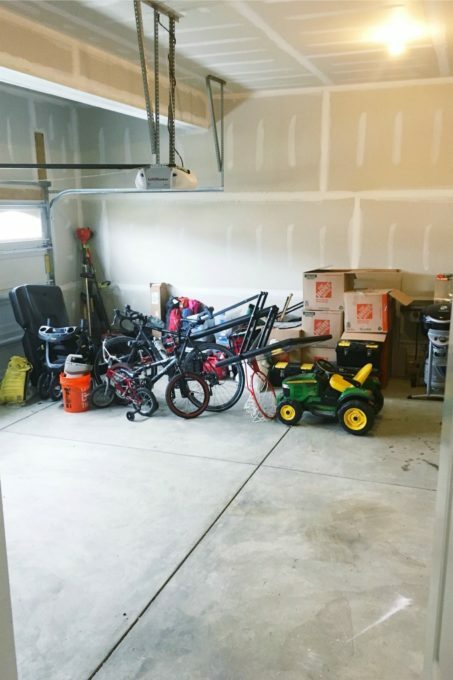 What I ended up with was a space that had the facade of organization, but since I just moved all of my junk into the bins without taking the time to go through it and weed out what I didn’t use or love, I was essentially just rearranging my clutter. When I’m hiding my clutter behind pretty bins instead of actually decluttering and organizing it, my system doesn’t last very long. 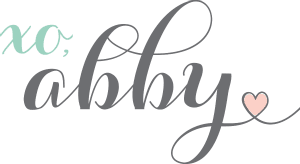 Soon my bins are overflowing, and I either need to spend more money to buy more bins to hide more clutter (eek– no!) 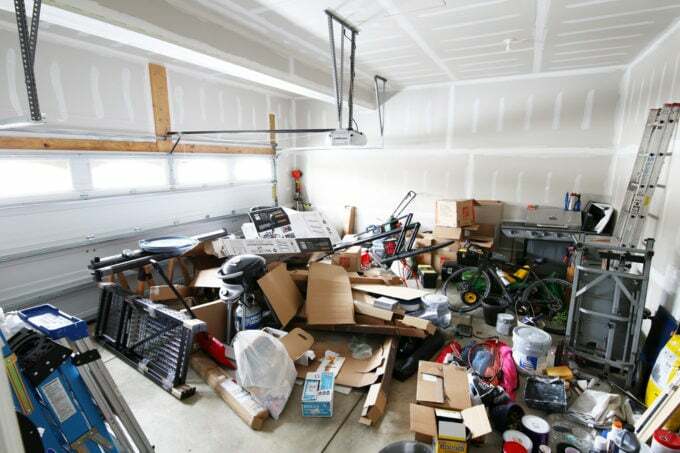 or take the time to go through and do a thorough purge of my space, which will be much more beneficial in the long run! Myth #3: I have to buy “all the things” so that my space feels organized immediately. 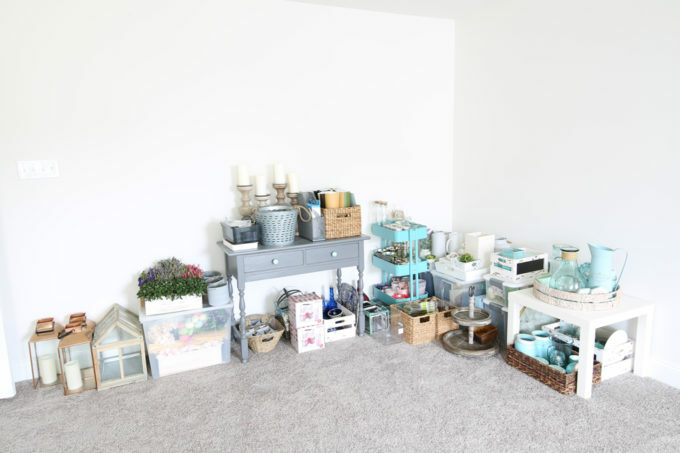 Sometimes I think it’s actually beneficial to wait and live with some temporary organizing solutions in a room before we invest in any organizing pieces because it gives us time to figure out how we use the space. In the area of my office pictured above, I had originally planned to put kitchen-like cabinets in that corner to store my items. After living with my temporary solution for a while though, I realized that what I really needed was a place to store awkwardly shaped vertical items (like wrapping paper and camera equipment). Not only would my kitchen cabinet idea not have worked for those items, but the solution I came up with ended up being a MUCH less expensive option as well. 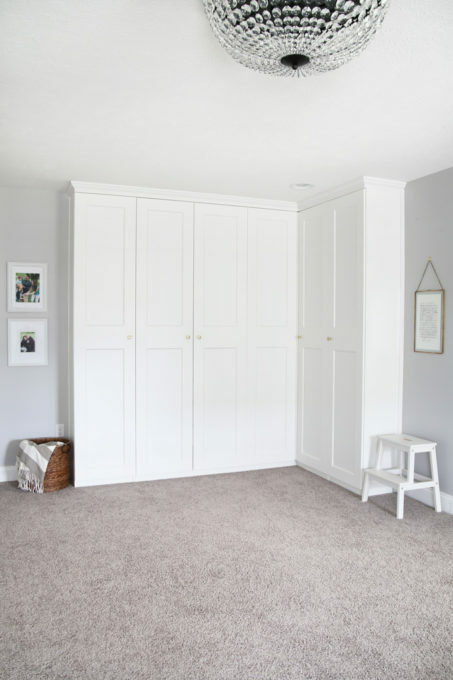 This post has more details about how we used the IKEA PAX system to create storage in my home office. Sometimes it’s better to wait! Myth #4: I have to wait to start an organizing project until I’ve found the perfect organizing solution. On the flip side, I have definitely been guilty of waiting to start an organizing project at all because I didn’t yet have the time/money/ideas to complete it perfectly. Two hours! It was far from perfect, but we could now park one of our cars in there, easily walk through the space, and I could always find what we needed. 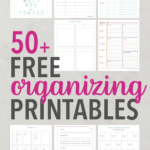 Myth #5: If I’m not born an “organized person,” I will never be organized. Sometimes I feel like a total imposter when I write/make videos about organization because naturally, I am pretty scatterbrained. I wasn’t this neatnik kid whose room was always tidy or who liked to clean for fun (my mom would probably laugh out loud if you suggested such a thing). 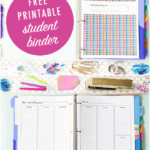 But I learned a while ago that being organized helps make my days run more smoothly, keeps my scatterbrained side in check, and brings down the level of crazy in our house. So I just started trying different things and figuring out what worked for us and what didn’t. Everyone’s brain works a little differently. If there is one thing I’ve learned from all of my time organizing, it is that organization is never “one size fits all.” It has taken me a lot of trial and error and a whole lot of scrolling through inspiration photos to figure out my organizing “style,” but with each new space I tackle, it gets easier and I learn more. So I guess my point is, even if you don’t feel like an organized person (and there are plenty of days where I still don’t! ), you can still work toward creating organized spaces in your home. Will they be perfect the first time? Probably not. So those are just a few of the things I’ve been thinking about lately when it comes to organization. I know I haven’t covered every organizing myth out there, so if you have others that you’d add to my list, please leave them in the comments below so that we can all benefit from your wisdom! Thank you, thank you, thank you for being here and chatting about all things organizing with me! I really appreciate you more than you know. Hugs! I love this post! Amen girl! Abby, thank you so much for posting this. I love your humble side. 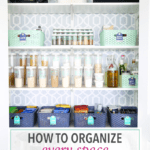 I am not sure if this is the place to ask, but I have had to this nagging feeling to start a “side-hussle” helping people organize spaces in their house. 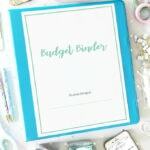 I’ve always loved to organize and I feel like mommas could use some support in this area. 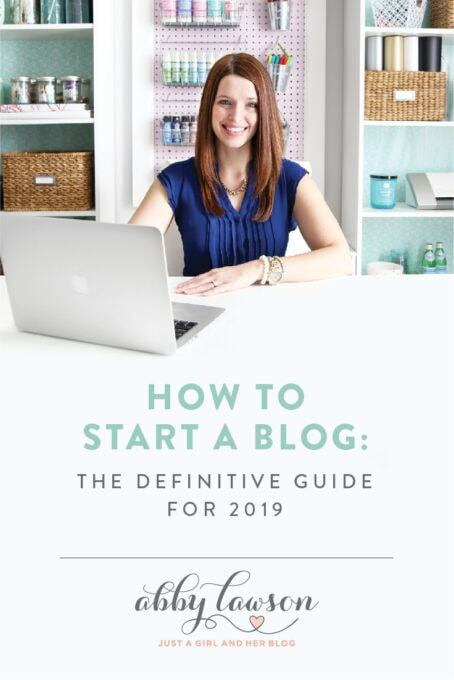 Anyways, I wanted to see if you had recommendations on what steps I should take to start this journey- I.e blogging and Instagram scare me, but I feel like there good platforms. Anyways, you feedback is appreciated. Thank you. Thank you so much for your sweet words, Nikki! 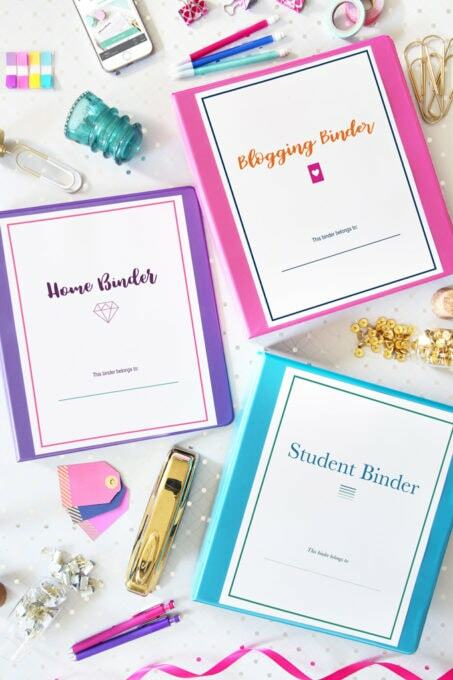 As far as starting your own organizing business goes, my go-to-girl for that sort of thing is Jen from Pro Organizer Studio- https://proorganizerstudio.com/blog/ . 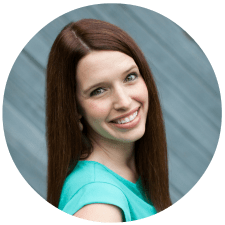 She has tons of great free articles about getting started in the organizing business on her blog, and she also has some paid products if you want to dig deeper. I hope this helps! Have a great weekend! I wish I’d written this post myself. Everything you said totally resonated with me. 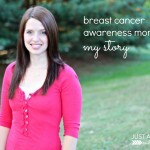 My experience with organizing has indeed shifted over the years, as well as with various different seasons in my life. How I organize now, at age 50, is very different than how I went about it in my 30’s. 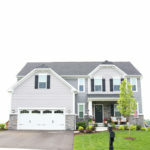 This is why I think what you say is true: Organizing our homes is not a “one size fits all” process. We need let it evolve not based on what a magazine says, but what your home needs. Very encouraging, Abby. Thanks for busting these myths. Now to go tackle and purge my closet! Woohoo! You go girl! 🙂 Hope you’re having a great week, friend! Amen! 🙂 So true, Ashley! I appreciate the fact that you said you weren’t a neatnik. I wasn’t either. Sometimes that fact actually pyscs me out. But having an organized space is so relaxing. Such great insight! Thanks for your blog!